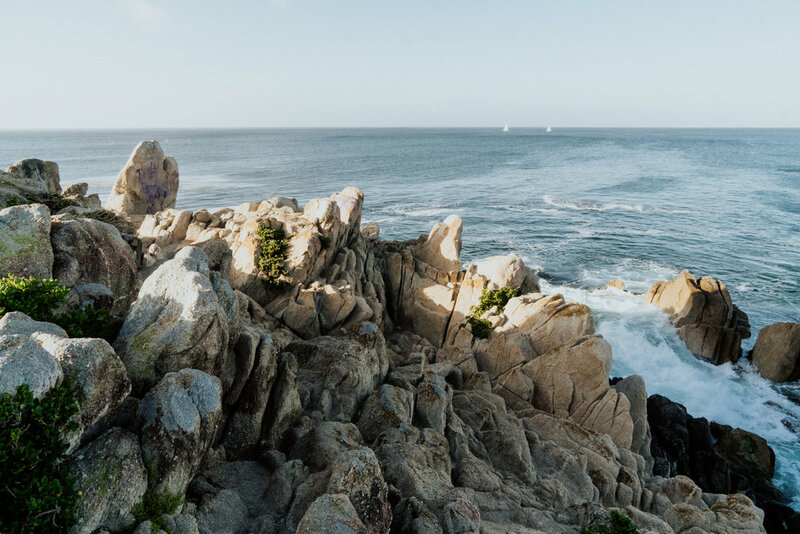 When planning a trip to Monterey County — whether it’s your first time, or you’re a seasoned pro that knows the best clam chowder spot in town — you’ll want to get off the beaten path and check out some of the destination’s lesser-known gems. Bring your camera, a pair of sturdy hiking shoes, a reusable water bottle and let’s go! Heading to Monterey soon? Check out my perfect weekend itinerary. The Monterey Bay Aquarium is probably already on your list. If it’s been awhile since you’ve visited, the gigantic aquarium will take some getting used to all over again. Pro tip: sign up for text message alerts when you arrive, which will keep you posted with what’s going on all over the aquarium. Bonus points if you catch the Kelp Forest feeding at 11:30am! You may be tempted to skip the noisy kids area — don’t! 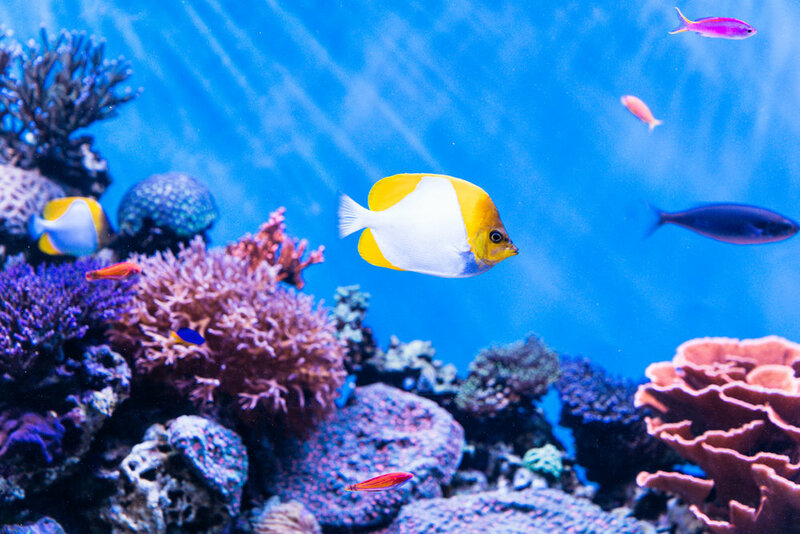 Dubbed the Splash Zone, it is home to some of the aquarium’s most colorful species, including the beloved clownfish (Nemo) and sea horse! I spent a solid 45 minutes in this area, photographing the colorful coral scenes and watching the delighted kiddos take it all in. While meandering down iconic Highway 1, you’ll be tempted to pull over at Bixby Bridge and photograph it from the same vantage point like everybody else. While it’s a great view, this will require a super wide lens to properly capture the whole scene. I recommend using the pull outs along the roadway to pull over and capture a unique vantage point of the bridge — complete with stunning wildflowers in the foreground! McWay Falls isn’t exactly “hidden” as it’s so well-known, but as it’s not actually visible from the road, it can be easy to miss. A gorgeous 80-foot waterfall lumbering onto a sandy beach, you can view McWay Falls from a nearby perch along an easy trail located within Big Sur’s Julia Pfeiffer Burns State Park. You’ll want to park near mile marker 35.8, then follow all the people carrying tripods down the trail. Gorgeous (and romantic) spot to watch sunset! 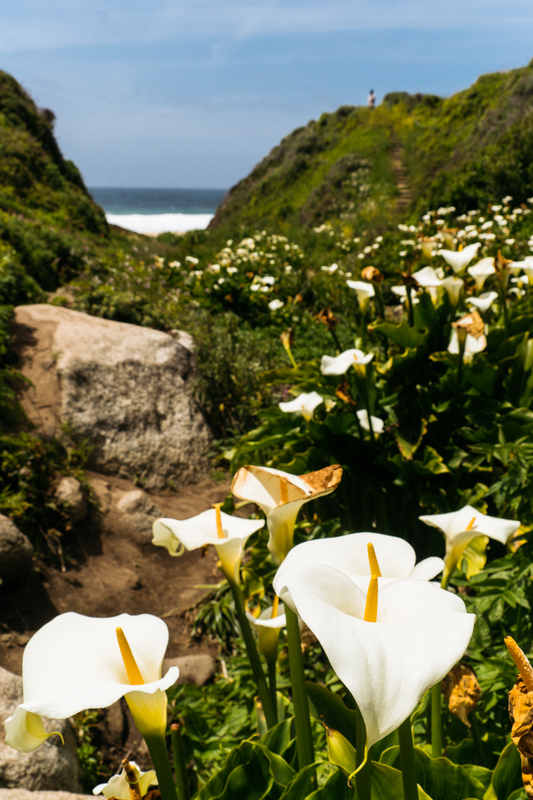 For wildflowers, it doesn’t get any better than Calla Lily Canyon, located right off Highway 1. Tucked within Garrapata State Park, this breathtaking scene is truly a secret garden. After safely pulling over, look for a coastal trail that funnels down into the valley. I stumbled upon this spot in the middle of the day, but I’m sure it’s especially breathtaking just before sunset, so plan accordingly! Monterey County is an adventurer’s paradise! Check out local outfitters Adventures by the Sea to rent bikes or kayaks, and pedal or paddle your way over to scenic Lovers Point Park. Bring a picnic lunch and enjoy! A short drive from downtown Monterey, Fort Ord National Monument is home to more than 44 species of rare animals and plants, many of them stunning wildflowers. The 14,000 acre park can be accessed through 86 miles of hiking trails, mountain biking, horseback riding and paved-road cycling. Definitely not to be missed! Need some down time? Bring a picnic lunch to Marina State Beach and enjoy the waves for a few hours. Keep an eye out for wildlife — I spotted several whales and otters! Once you’re done adventuring and road-tripping, plan a day to the Salinas Valley and explore Monterey County’s surprisingly austere wine country. 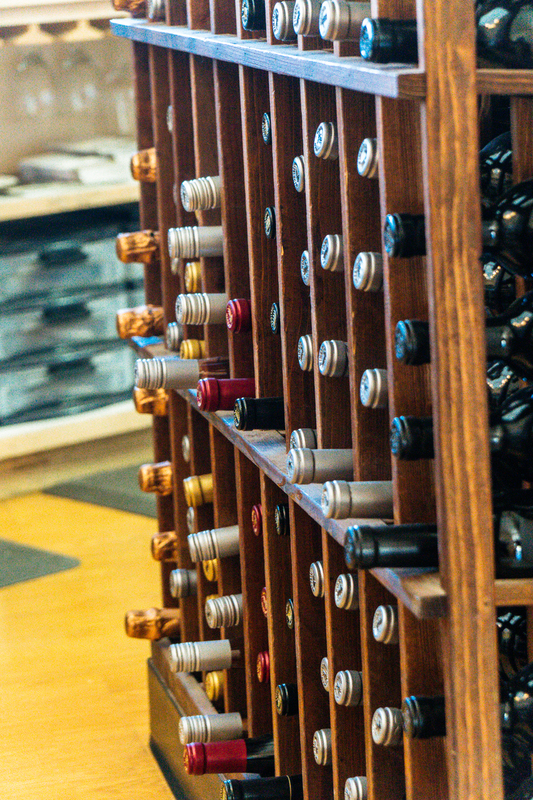 Kick off your wine tasting shenanigans at Wrath Wines. Order the cheese + crackers plate, sit outside in the garden terrace and taste delicious Pinots. My favorite? The 2015 San Saba Pinot Noir. While you’re there, don’t miss the ATV tour at Hahn Family Wines! Touring a winery by ATV has changed wine tasting for me forever. A surprisingly informative tour, I single-handedly learned more about the wine tasting process from this tour than I had ever experienced before. Don’t miss it — make sure to book well in advance to secure your spot! When was the last time you visited Monterey County? What would you add to this list?